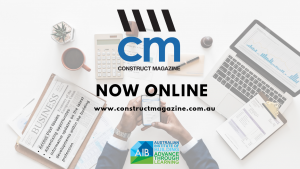 The Australian Institute of Building (AIB) produces a quarterly magazine that is recognised throughout the building profession as an informative update on the latest developments within the building profession. The magazine also provides information to changes to regulations, latest industry statistics and events within the building profession. 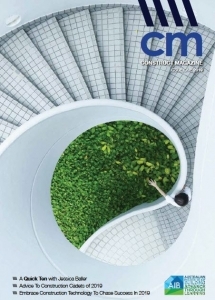 Advertising in the Construct magazine provides a cost-effective method of reaching some of the most influential decision makers in building and construction industry. Management of advertising is by On TimePublications, they can be contacted by email – steve.moxey@ontimepublications.com.au. Advertising rates and Editorial Guidelines are available in the Construct Media Kit.